Laurence Sterne, a British humourist, novelist and author born in Ireland, who gave the world two great work of fiction, “Tristram Shandy”, and “ A Sentimental Journey”. Both of his books were instant hits, ranking him as one of the major novelists of his time. The impact of his works went past the country and era in which they were written. 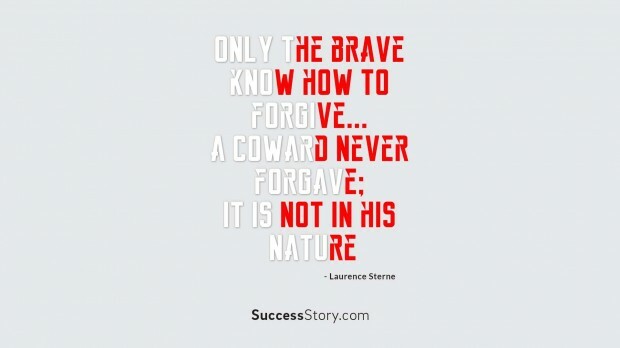 "Only the brave know how to forgive a coward never forgave; it is not in his nature." The endless excursions and wordplay in Tristram Shandy and the use of psychological realisation as the governing structure is what makes Sterne matchless among the early masters of English novel. Tristram-Shandeism not only prompted hundreds of trivial imitations in Sterne's time but also motivated great writers of the present. Supporting his dean, Sterne wrote a sketch, a sort of Swiftian satire of a squabble between the dean and a York lawyer in 1759. Though the book was burned because of embarrassed churchmen demands and Sterne lost clerical progression chances but on the other hand, he found his hidden talents. Stern’s marriage reached a crisis situation in 1758. He turned over his responsibilities to a curate and thus the beginning of the Tristram Shandy started. Despite all the hardships he continued working on this lovely creation in the history of literature. Although written with very heavy heart, he moderated the sarcasm and told about Tristram’s opinions, his unconventional family, and doomed childhood filled with light-hearted humour, at times hilarious and sometimes amiably melancholic – Comedy that meets tragedy in perfection. Publication of his creation made Sterne famous in the whole continent.